Solar wind flowing from the indicated coronal hole could reach Earth late on June 4th. Credit: SDO/AIA. It's waiting for you: The most successful Aurora Photo Tour on Earth! 100% success rate 4 years in a row and winner of the TripAdvisor Certificate of Excellence Award. Join LapplandMedia's aurora tours in Abisko, Swedish Lapland! WEEKEND STORMS ARE LIKELY: NOAA forecasters estimate a 70% chance of geomagnetic storms on June 4th and 5th when a solar wind stream hits Earth's magnetic field. Deja vu? This stream has been here before. On May 8th (Mother's Day), it sparked the strongest geomagnetic storm of 2016. 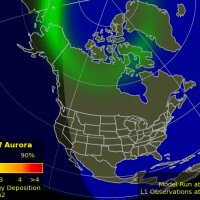 During that G3-class event, auroras were photographed in the USA as far south as Kansas and Arkansas. This time, analysts expect the storm to peak at G2--not as strong as the Mother's Day Storm, but still worth watching. 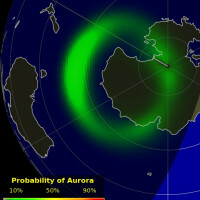 High-latitude sky watchers should be alert for auroras,especially in the southern hemisphere where darkening autumn skies favor visibility. Aurora alerts: text, voice. "The display started at 11pm and we could tell it was going to be a strong one," says Robinson. "It carried on and got brighter for a further 2 hours. If this is a sign of things to come, this NLC season is going to be one to remember." 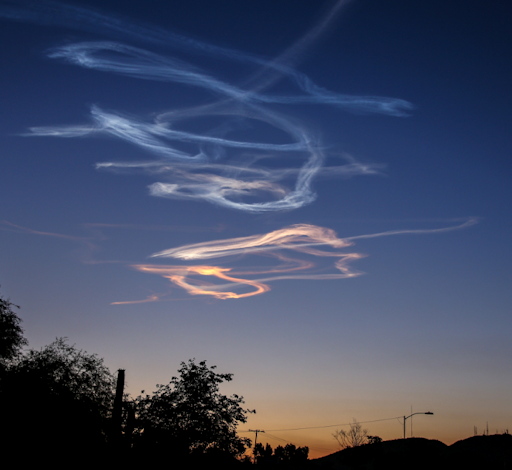 NLCs are Earth's highest clouds. Seeded by meteoroids, they float at the edge of space more than 80 km above the planet's surface. Typically, NLCs are brightest in late June and July. A bright display in early June is a good omen indeed. 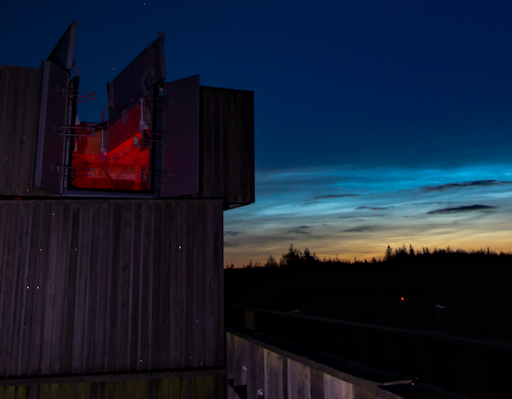 When noctilucent clouds first appeared in the 19th century, they were confined to Arctic latitudes. In recent years, NLCs have intensified and spread with sightings as far south as Utah and Colorado. This could be a sign of increasing greenhouse gases in Earth's atmosphere. Outfitted with space helmets and a diploma, the intrepid Ursidae survived cosmic rays, ultra-low temperatures, and the near-vacuum of the stratosphere. For $49.95 you can have one of these bears along with a unique Graduation card showing the bears floating at the top of Earth's atmosphere. Buy one now. 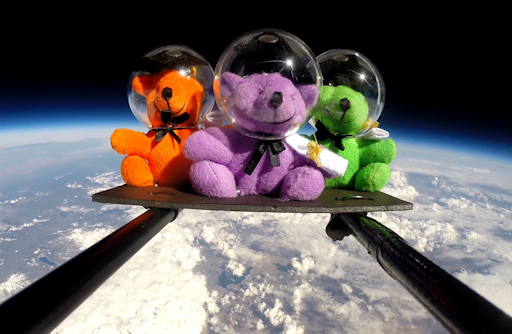 Sales of the bears support student space weather research. In fact, the bears pictured above were hitchhiking on a payload equipped with radiation sensors. 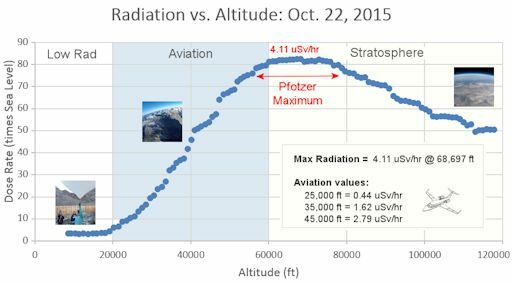 We send the sensors to the stratosphere every week to monitor increasing levels of cosmic rays. Visit the Earth to Sky store to support this crowd-funded research. On Jun. 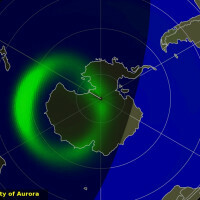 3, 2016, the network reported 3 fireballs. On June 3, 2016 there were potentially hazardous asteroids.